I was fortunate enough to have been part of a brunch for bloggers on Saturday, October 27, at Rise N° 3 in the Shops at Clearfork. If you haven’t been to Rise yet, go. 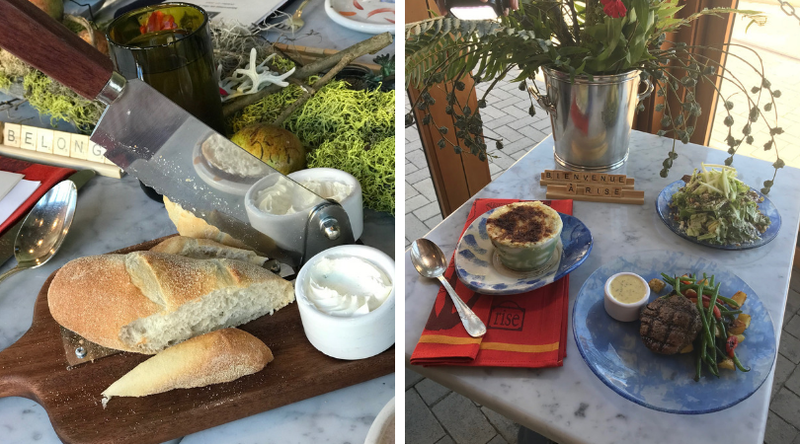 I can’t say enough good things about this adorable and amazing souffle restaurant with the beautiful French decor! 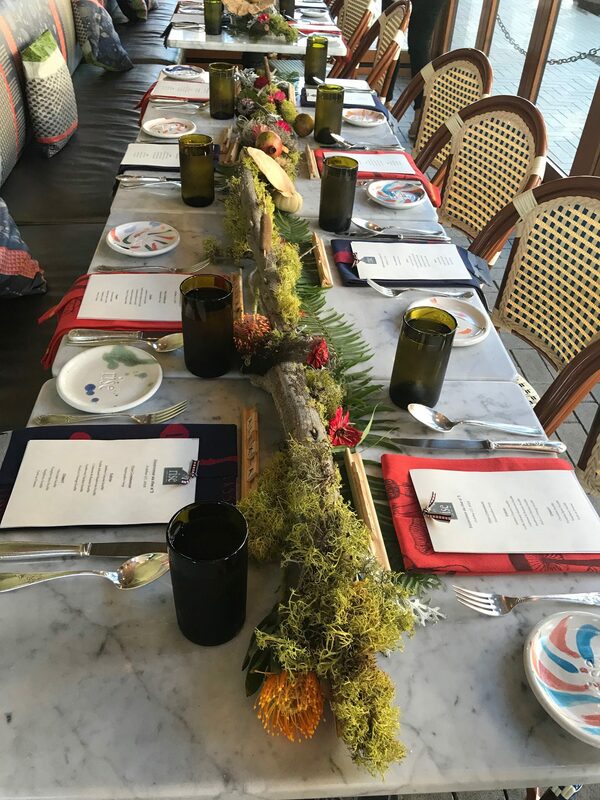 We were greeted with a beautifully-laid table – beautiful fall centerpieces coordinating with the napkins and plates. I love that everyone was greeted with a cheery “Bonjour” or “Bienvenue à Rise” spelled out in Scrabble tiles at their place. As with all meals at Rise, fresh bread and butter were ready for us on the table, and we had fun cutting pieces off for ourselves! Everything on the menu looked amazing, but I chose the marshmallow soup, the crab souffle, and the chocolate souffle. 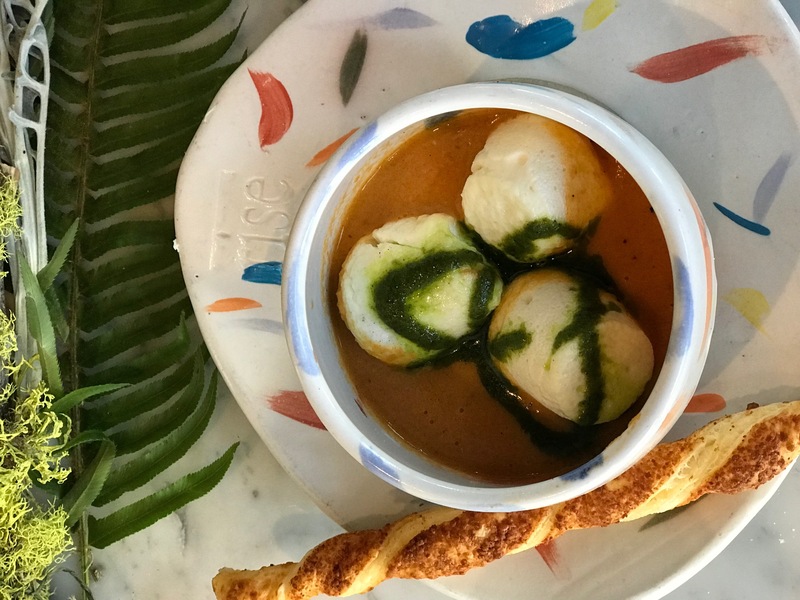 No, marshmallow soup doesn’t have marshmallows; it’s a delicious tomato soup with mini goat cheese souffles floating in it. Delicious! 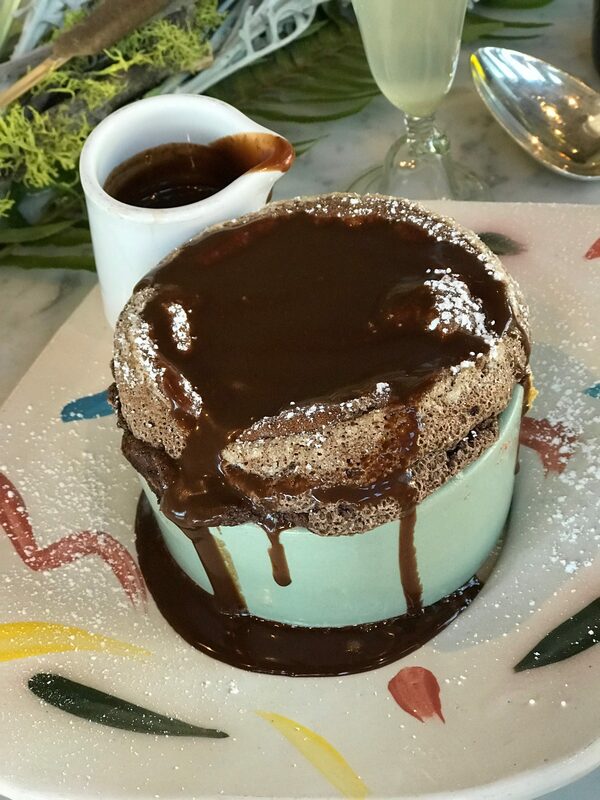 The crab souffle was rich and sumptuous, and the chocolate souffle… Well, let’s just say it was divine! 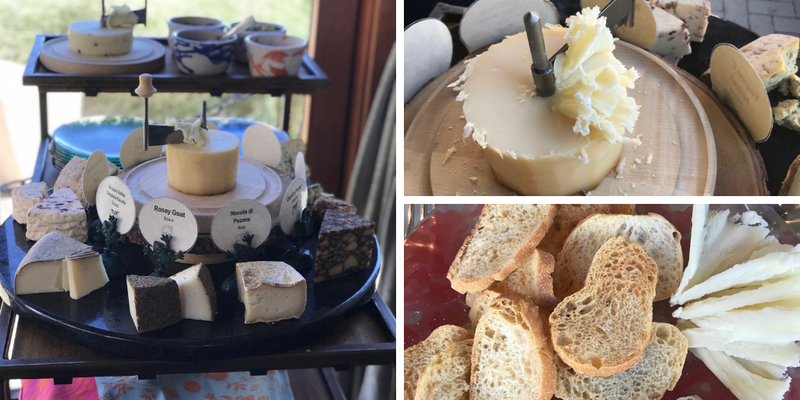 As incredible as these were, the real highlight for me was the cheese tray and display. I really had no idea Rise features such an incredible selection of cheeses sourced from all over the world. The truffle cheese called tartuffo was one of the best things I’ve had in so long. When paired with the quince jam, it’s really ridiculously delicious. I will be buying this and the jam for Christmas gifts. Friends and family can thank me later! Another notable about the restaurant is that everything you see in their restaurant is available for purchase, from the spoons to the chandeliers. Rise’s owner and proprietor, Hedda Dowd, sources all the decor herself and loves every piece she selects for her restaurants. Her attention to detail shows from the minute you walk in the door. The atmosphere is warm and welcoming and prepares you for a meal that you won’t soon forget! I can’t emphasize enough that you need to go to Rise N° 3 for a meal, be it brunch, lunch, or a romantic date night. I promise you won’t be disappointed!